The Company is pleased to present The Scrying Trilogy, Jen DeNike’s first solo exhibition in Los Angeles. 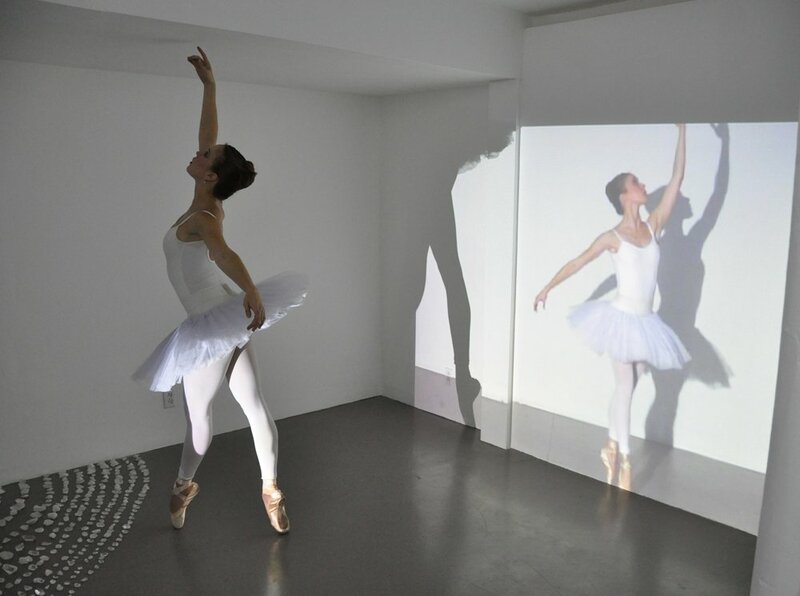 The Scrying Trilogy incorporates three new works: Another Circle, Crystal Forest and Hydromancy, each expanding on the ballet SCRYING , which debuted at the Museum of Modern Art in New York earlier this year. The Scrying Trilogy is significant to Los Angeles as it completes a cycle that began with the ballet workshop of Scrying in Santa Monica last summer. DeNike, in collaboration with choreographer Melissa Barak realized the three-act ballet in the Balanchine tradition using six Los Angeles Ballet dancers. 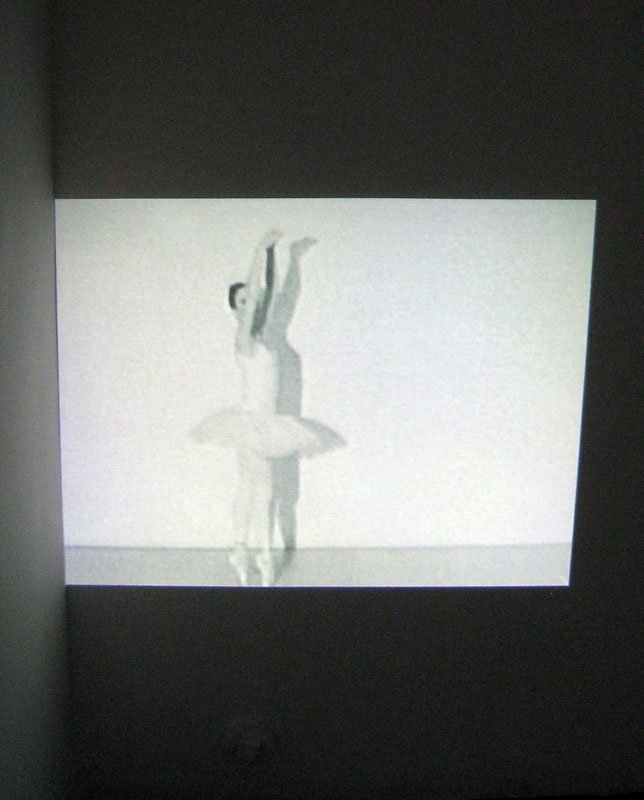 Another Circle, a single channel video projection depicts a ballerina in classical tutu and toe shoes rotating in what appears to be an infinite pirouette, evoking the bodily repetition of scrying. 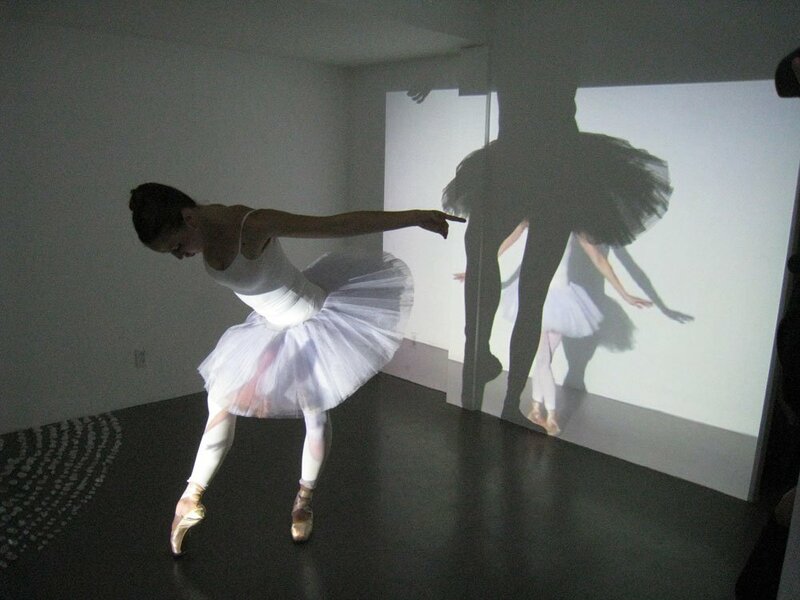 During the opening reception at The Company, the original ballerina from the video will perform mirroring and reacting to the hypnotic action in the video. The physicality of Another Circle is transferred through Crystal Forest, sculptures consisting of crystals mined by the artist near Hot Springs, Arkansas in the summer of 2010. As a form of an archeological dig, DeNike selected specific crystals ranging in size, and then infused each with magick to be used as a conduit for scrying. 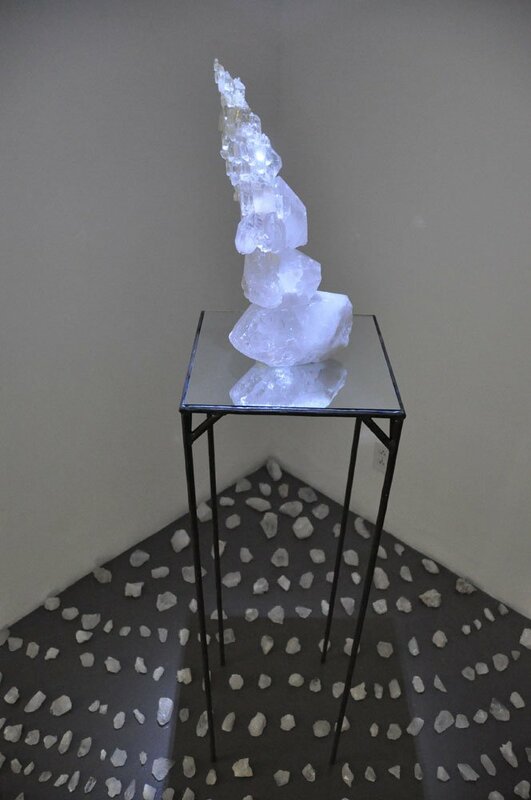 The crystals are placed on a custom-made steel pedestal as still-lifes. Water is another element that is used for scrying and is explored by the artist in Hydromancy , which is part performance, and part sculptural installation. Rows of black bowls filled with water are placed in circles, while a performer slowly moves between them conjuring divination through the water. 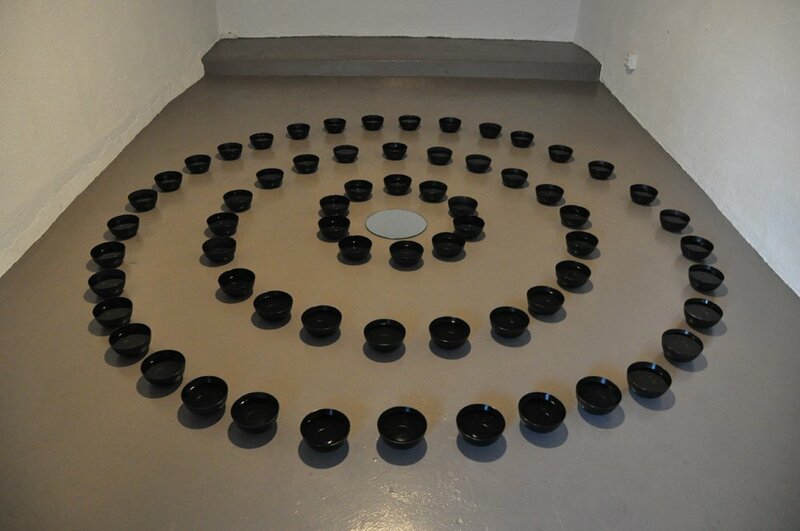 When the performer is not there, a circular mirror is placed in center of the bowls on floor. JEN DENIKE lives and works in New York City. Her work has been exhibited internationally including: MOMA, Kunst Werke, P.S.1., Deichtorhallen Hamburg, Brooklyn Museum, CCS Hessel Museum, EMPAC, Tensta Konsthall Sweden, Duve Berlin, Smith-Stewart, MOCA Miami, Printed Matter NY, and the Performa Biennial. Her work is in the permanent collection of the Museum of Modern Art and the Julia Stoschek Collection. Jen received her MFA from Bard College in 2002. Scrying is a practice of magic or divination that involves seeing visions through physical mediums like water, a mirror, crystals, or reflective surfaces. Hydromancy is the method of divination by means of water.